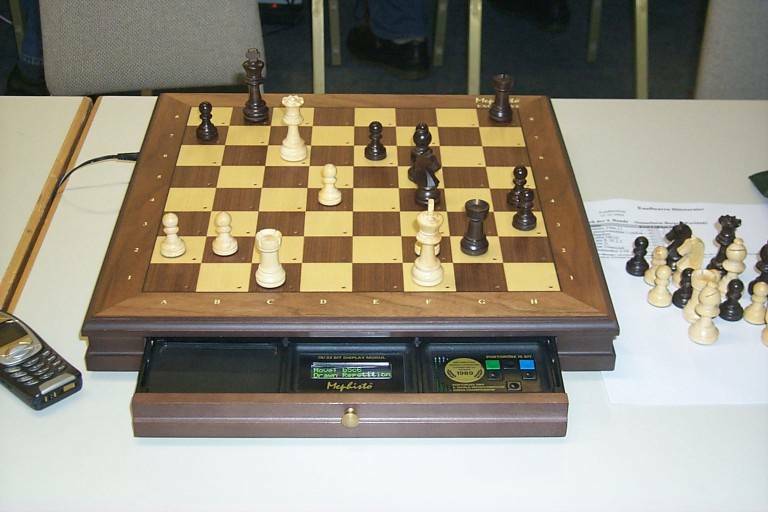 World's Strongest Dedicated Chess Computer! 05-14-05 - The Resurrection module is being delivered!!! 5/15/05 - Here are the first pictures we have received from one of the first owners! Only 12 people are getting them at this time. Enjoy them and many thanks to Christian and Martin for sending the pictures! Now there is a new module for Mephisto boards that has reached an ELO of 2433! (Based on the BT2630 test). This module was designed by Ruud Martin from the Netherlands and can be used in 3 of the Mephisto boards: Exclusive, Munchen and Modular. 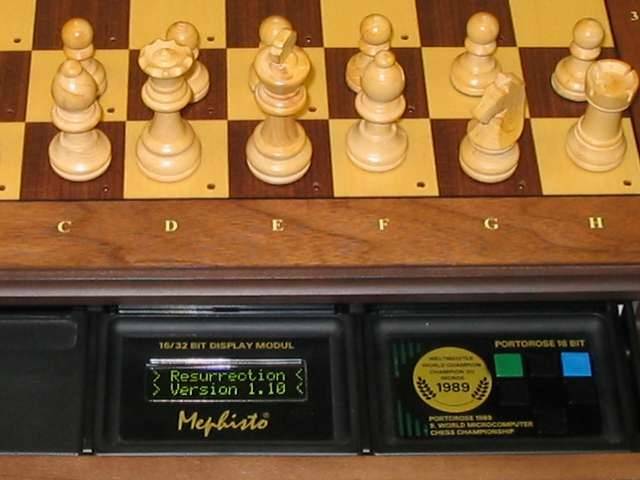 This is the greatest development in the Mephisto chess computers world since the company was bought by Saitek! Please noticed that I do not have any business relationship with Ruud. I am providing this information, with his approval, to share it with those interested in this module. Therefore, you will have to contact Ruud for ordering information. Availability: The module is expected to be ready around March 2005 with two possible updates still in 2005. Updates will be sent via email. 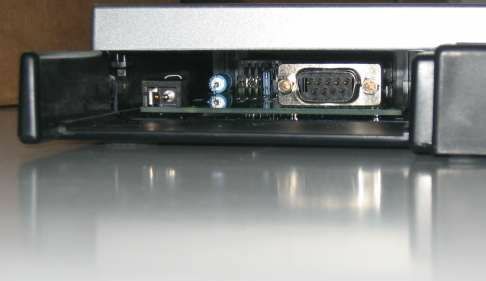 A link with a PC where UCI engines will run and interface with the module. 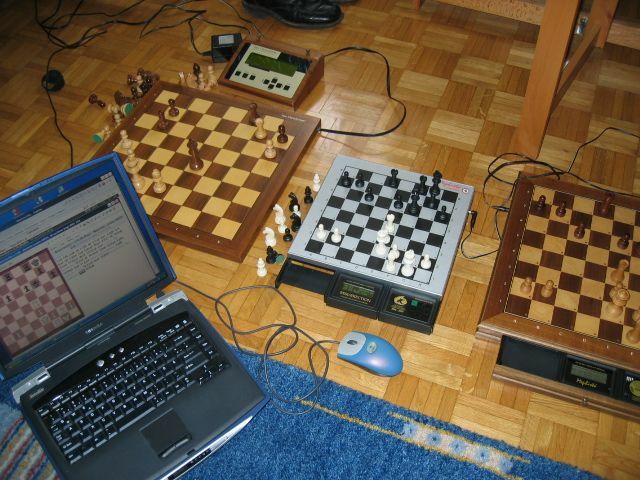 In this way you can use other engines like Chess master 9000, Fritz, etc. New: 03-16-05 - Here's a picture of the new casing, the Phoenix! In a few weeks I believe Ruud will be able to start delivering them. For more details please contact Ruud directly. I encourage you to support this project, especially if you have one of the beautiful Mephisto boards that are supported. 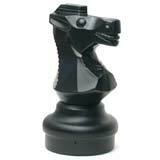 You will have the strongest chess computer in the world and a module that is upgradeable! Thanks for visiting and come back for more updates!